An interior designer is much more than just a person who’ll design your home or workplace. He/she is the one who has a vast experience in the field and will be able to understand your desires for your home or workplace in the best way possible. However, there are certain things that must be kept in mind before you hire an interior designer. To begin with, you must know what exactly it is that you want in your home/workplace. If there is a certain theme that you wish to have in a specific room, make sure your designer knows that. Ensuring that the designer you hire is experienced, is paramount; but it is ultimately your home or workplace that needs to be designed, and you play a major role in the final outcome. If you are clear with what kind of a decor you want in your workplace/ home, it is easier for the designer to deliver in accordance with your expectations. What does an Interior Designer Provide? The interior designer is an expert and will generally have a good network of all kinds of service providers. Hence, he/she can ensure that you get what you want for your interiors. They would deliver on the overall aesthetic appeal that you want for your home/workplace etc. Ideally, you should opt for one who can deliver an end-to-end solution. But, there are a number of things that one must remember before hiring an interior designer. Have a look at what you need to keep in mind…. Here you go.... Oh, and BTW, we've got a quick visual guide at the end, which you can refer as well. Before you hire an interior designer, make sure that you have a handy list which has everything that you require from a utility point of view. Points like what is needed for a specific room, or what is to be kept in mind while designing a particular room must be mentioned. For example, you may not require a dining table in the living area, or might require a big one. Another example is requirement of the beds in a bedroom, you might need one king sized bed in the master bedroom and two single ones in the kids room. At times, you might require a separate place to be used as a store, study or leisure room. All of this must be carefully written in a notebook before you meet your designer. Also, it would be great if you have things like a floor plan ready, just in case they are needed. It is important to be clear about what you want and have expectations that are possible to meet. Refrain from having unrealistic expectations, such as expecting the designer to make a room bigger than it actually is… at the most they can optimize the space utilization. Such a thing is possible to an extent, but it isn’t always the case. Another important point to be kept in mind is the amount that you can easily spend. Ask yourself questions such as how much can you stretch the budget before you start to feel the pinch? How much can you spend at the minimal level? Are there any chances of expanding the budget? etc. Think about all the points and try to get an estimate of how much would it cost you, and how much does your pocket allow. The Portfolio of the designer can tell you a lot about his/her quality of work. Asking for the designer’s credentials will also help you to get an estimate of their expertise and whether he/she is the correct person for your project or not. Ask if there is a possibility to see any of their completed projects, physically? Generally, designers are OK to do that. There are often major concerns, which come up once the work starts simply because the designer isn’t the right one for the job. Hence, save your and the designer’s time by asking him/her about the portfolio and references. At times, it can happen that you have a question to ask but you feel that it’s very basic. But it is OK to ask them. Don’t think that you might come across as less knowledgeable in front of the person you hire. Remember, the person you hired is an expert and it is his/her responsibility that all your questions are answered. You may have questions like - is there any structural change involved? A lot of societies in metro cities ask residents to take a permission before doing any structural changes. If yes, how safe is it, has the designer done anything like this before or does he/she have skilled labour who can deliver the promise. We have seen people putting all their questions on a piece of a paper before they meet a designer and it helps a great deal. If you have all the questions written at one place, a lot of doubts would be solved and the designer will get a better picture as to what you’re expecting. You must ask about the important things such as the material being used, the quality of plywood, tiles, paints etc. It is necessary to be informed about the material that is being used for your own satisfaction. Also, you must understand the factors that could increase or decrease the cost. If there is a cheaper and better substitute available for a material, you can use it and save a good amount of money. You might be having a clear picture of what you want, but remember that the interior designers have experience at dealing with similar spaces. They are at the best position to suggest a better alternative. Hence it is vital to be open to their suggestions. They will even provide you with cost-effective and easy way at times; you just need to listen and be ready to ‘adjust’ your expectations for practical reasons. Knowledge is the trade of an expert and this knowledge has some premium attached to it. So, before you get into discussing the outcome and the project, make it a point to ask about the fees that the designer would want. This is important, and also shows you are serious about your project. You can also have a free consultation with an expert interior designer by Hipcouch. Book your consultation now. There might be a certain date or a time limit within which you expect everything to be ready. In order to avoid confusion or any kind of hassle later on, make sure that you enquire about the time taken beforehand. Often times, delays cause unpleasant experiences and hassles. Hence you need to be very clear about it, with your designer. With Hipcouch designers, however, you can expect on-time, hassle free delivery. 9. Understand How will you be Charged? There are a number of ways in which interior designing charges are levied and you must ask your designer about the same. Sometimes, the charges are levied per square foot, at times they are lump sum. Also factors like per day cost of labour, cost of materials, etc. all influences your final bill. 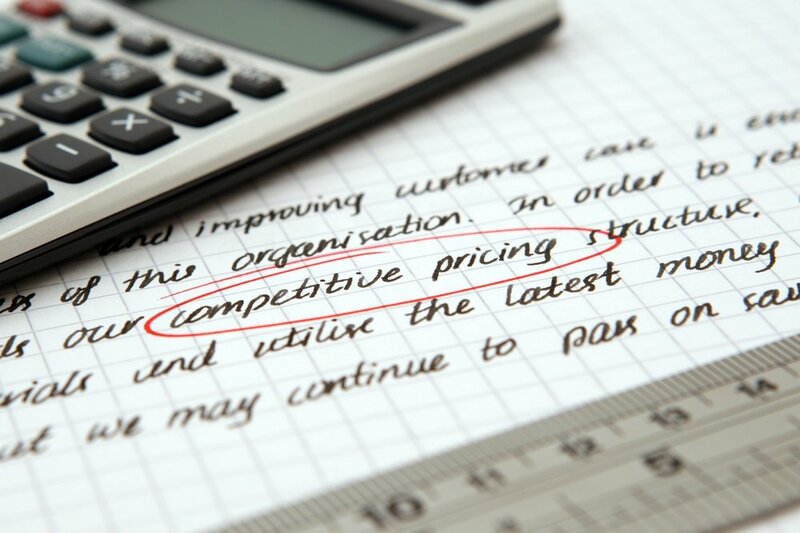 Understand how you are billed - is there transparency in costs? Can you check the cost structure, how open is the designer in making you understand the various aspects of costs? These are all crucial things to consider. The last but not the least - DO YOUR RESEARCH. Everything is available online. You can easily look up for the profiles of interior designers before zeroing on anyone. Usually, you can find the portfolios and completed projects online and see whose work appeals the most to you. To make things easier, you can pick a designer by Hipcouch. You can explore our design partners, here. You can be rest assured on their expertise and timely completion of work, to your utmost satisfaction. They say, to each his own, and it all depends on individual choices. What is perfect for you may not be perfect for someone else. The designers work with all sorts of people and are familiar with all sorts of tastes, so the most important part, before meeting a designer is to be clear and precise about your expectations. We hope the above mentioned 10 things helped you in making an informed decision and that you find the perfect interior designer to accompany you in your venture! Newer PostHow does Interior Design Pricing Work? Understand How YOU are being Charged! Older PostWhat are the Different Interior Design Styles - Which one should you go for?